Gozo is the rural sister island of urban Malta. With tranquil bays and postcard-perfect views from restaurant terraces, Gozo is an ideal relaxation destination, but it's also rich with history and great for sightseeing! Here are a few of its delights. If you only see one sight in Gozo, make it this one! The Ggantija Temples are thought to be world's oldest freestanding monuments – beating the Pyramids and Stonehenge! 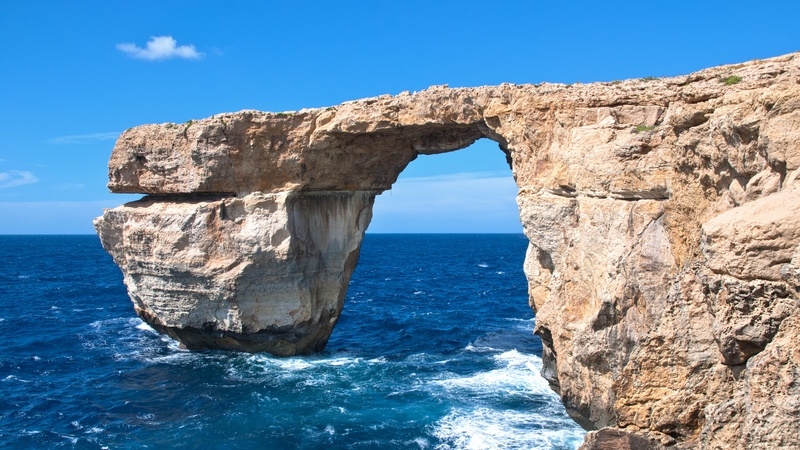 This huge limestone arch at the gorgeous Dwejra Bay is one of Gozo's foremost natural attractions. It's a favorite among scuba divers, but hurry – it's close to completely eroding! This historic village is where the Knights of Malta surveyed the passing of ships between islands. You can see right across the whole archipelago! The sea here is shallow and gentle, with the red sand surrounded by grassy cliffs. Ramla Bay is one of Gozo's best beaches, and can also be seen from the Calypso Cave in Xagħra. 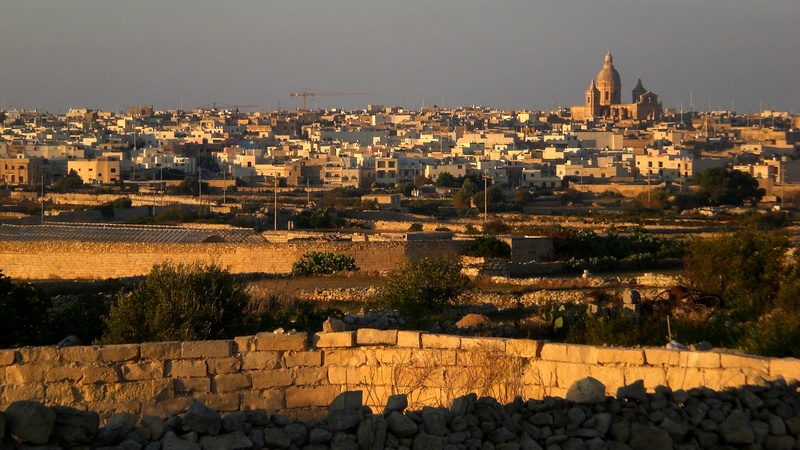 Crowning a hill at the island's center, Victoria – or Rabat – is Gozo's capital. Head to its Citadel to discover an old town of labyrinthine streets and historic buildings. This tiny village has been inhabited since as early as 5000 BC. 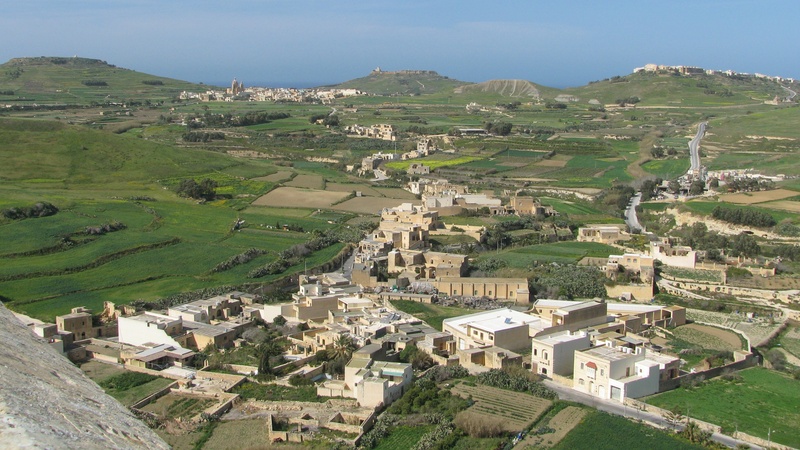 It's now a haven for artists and provides some of Gozo's most picturesque landscapes and hiking trails. 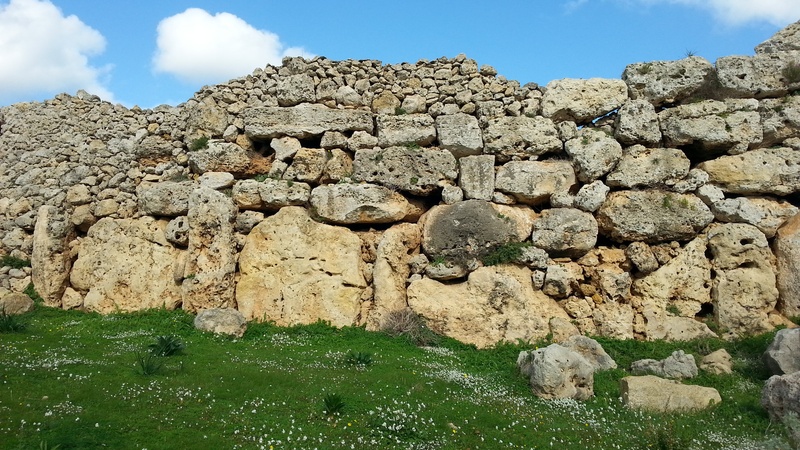 Dating back to 3000 BC, Gozo's stone circle is older than Stonehenge. A chambered tomb was also discovered at the site, and predates the circles by roughly a millenium! 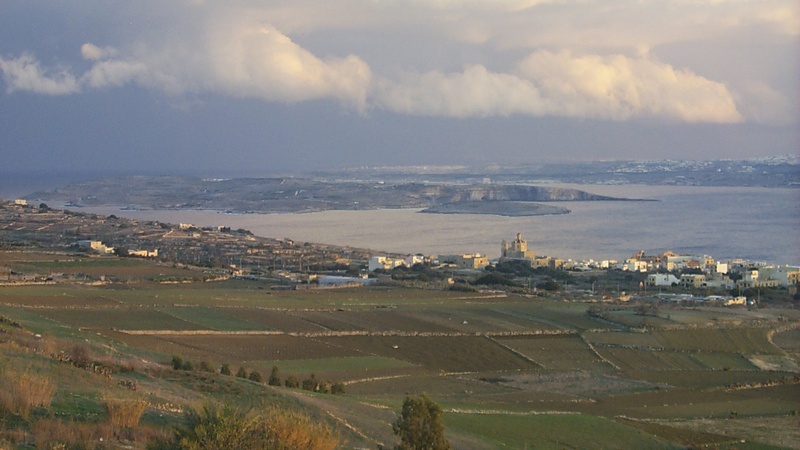 Gozo is Malta's northwesternmost major island, just south of Sicily in the Mediterranean Sea. Malta is actually made up of three main islands – Malta (the largest), Gozo, and Comino (the smallest) – and several smaller, uninhabited ones. Not directly. You will need to book your flights to Malta International Airport in Luqa, on the main island (Malta itself). From there, allow about an hour to reach Cirkewwa Harbor, where you'll be able to board one of the regular ferries to the island of Gozo. If you're primarily interested in sightseeing, the months in and around June and October are best, as it will still be warm and the crowds will be less. Beach-seekers, however, should take advantage of the delightfully hot months of July through September! Want to discover all there is to do in Gozo? Click here for a full list. Trip was through and informative. Left satisfied we had seen most of Gozo. Plenty of hop off stops. Lunch was wonderful, with wine, and ice cream as desert in a restaurant with a stunning view. Maurice, the guide was exceptional and thoroughly knowledgeable. Our only regret was not having any change to tip with at the end of our trip but would absolutely recommend this to all! This guided tour is very efficient and informative. I enjoyed it. The guide, Mark, is hansome and kind during the tour. His English and French is clear to understand. I recommend it as a full day tour in malta. Great weather and a day full of interesting places. Really good value for an introduction to Gozo. A bit hurried at most of the stops, but we managed to fit a lot of things in. Weather was perfect and lunch was good. A great choice... I’m glad I made it. Godwin was a great guide, he gave us lots of information about the towns and villages we drove through. There were several stops, we enjoyed them all, the only shame was that we would have like a little more time at Prison. We did pay the extra to see the ancient Tomb at Ggantiji and to go on the boat through the caves and would recommend both. The 2 course lunch with wine was basic but good.